Free Antique/Vintage Printable Scrapbooking Pages and Patterns | Print, Cut, Paste, Craft! 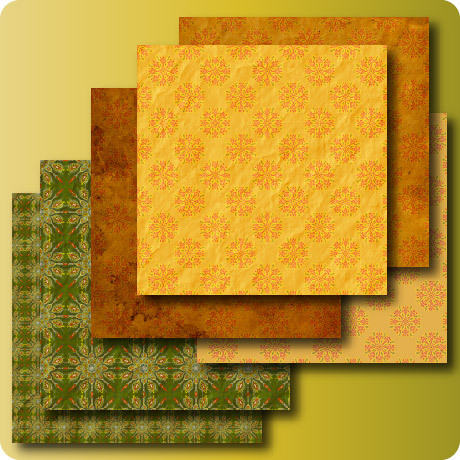 I have created these 6 scrapbooking papers, that you can download for free in two different formats : 8×8 (click here) and 12×12 (click here). You can use them as backgrounds or as a decoration for your scrapbooking project, or even as wrapping paper for a special present or any other crafting project. They are created around a vintage looking pattern and there are different kinds of effects applied to them: old leather, wrinkled parchment, stained paper. Anything to create that antique/vintage look that you might need for example to frame an old sepia picture or create a vintage feel.